Treats for your Siberian Husky are a great way to reward good behavior during training. However not all food is good for your puppy to snack on. Here we have a look at what is suitable for puppies and what to avoid. As you know, puppies need food to grow. It is really important to feed your Siberian Husky puppy good quality food that promotes muscle and bone growth, and provides the energy needed to exercise and play. Snacks are no different. Just like human snacks you want to avoid snacks that are high in fat, sugars, and calories. They might taste good (to the puppy!) but are not doing him or her much good. If purchasing treats from a store look for those with a high meat content. Lower quality snacks are often cheaper because they have “filler”, typically a grain of some kind. The worst have high fat content. Snacks should be fed as a treat and not become part of normal feeding routines. Typically the only time you would feed your dog treats is to reward good behavior during training or playtime. If you start conditioning your puppy to accept snacks all the time they will become used to that behavior, and start pestering you between meals. 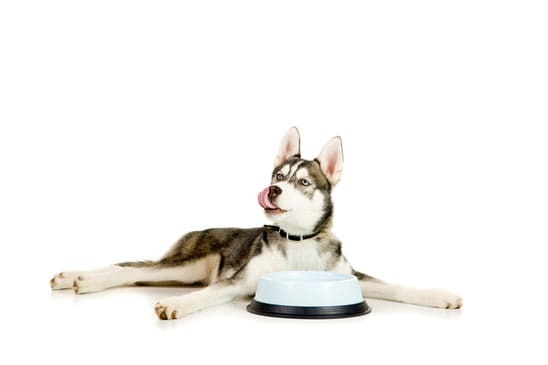 See our article on Feeding Siberian Husky Puppies if you need some further advice on meals. Unsalted pretzels, unsalted almonds, unsalted and unbuttered popcorn. Blueberries, strawberries, and other berries without pips. Bananas. Frozen bananas are a great treat. Beans, carrots, and sweet potato. Peanut butter is ok as an occasional treat in a KONG Toy , but be aware of the high sugar and fat content. It will require some experimentation to see what your Husky likes. Don’t be surprised if he likes a food one month, but goes off it the next. Huskies need some variety in flavors and textures in their food. You can also bake your own doggie treats – check out the Dog Treat Kitchen website for recipes that are easy and inexpensive. There are some human foods NOT suitable for dogs, including chocolate, grapes and avocado. We have some specific advice on these foods here and here. When feeding treats you might want to cut or break them up in to smaller pieces. Puppies only have small jaws, small tummies, and you can reduce intake by reducing the portion size. Don’t forget that during training there are many non-food rewards you can give as feedback, such as pats, rubs, scratches, positive words, and playtime with favorite toys. Try different things and see what works best for you and your Husky!